Cast on 36 and join in the round. R1 – K2, P2, right twist, P2, right twist, P2, right twist, P2, K20 – To right twist, first knit two stitches together, and then, before sliding the two stitches off the needle, knit the stitch closest to the end of the needle once more. Continue in the pattern until stitch 18. 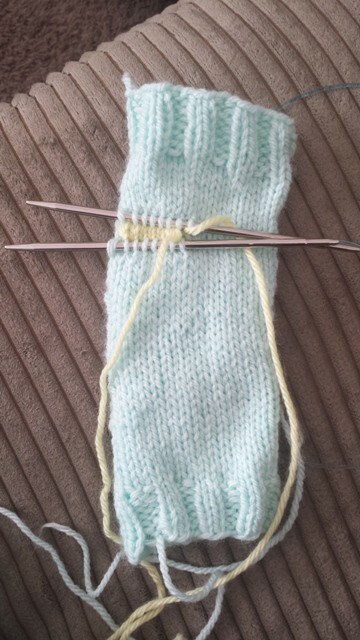 Using waste yarn knit in the afterthought thumb for 7 stitches turn the work and purl back for 7 stitches. Here’s a youtube video that shows detailed instructions on how to place an afterthought thumb. Here’s part 2. You’ll need to watch both. 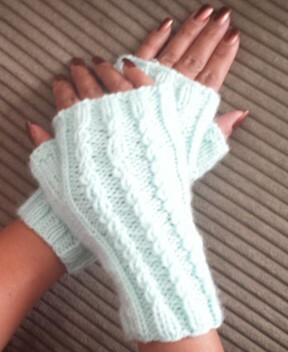 Using the main color yarn continue in the pattern until you reach the base of the fingers or desired length. This was 9 more rows for me. K2, P2 ribbing for 6 rows and then bind off. Make sure it’s a stretchy bind off! Working in the after thought thumb. Pick up 8 stitches below the waste yarn and pick up 8 stitches above the waste yarn. You can unpick the waste yarn and remove from the glove completely. 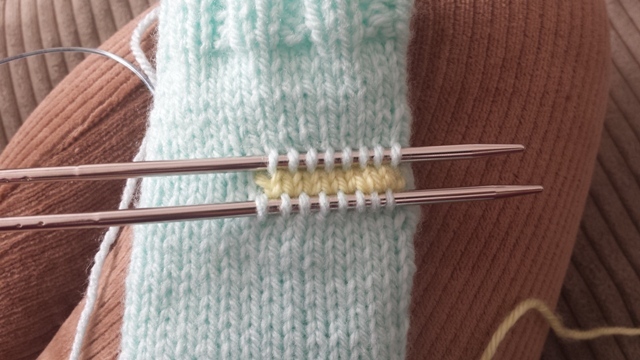 Divide the 16 stitches on double pointed needles or on a circular needle using the magic loop method. Here’s a good youtube video on how this method works. Another technique to rock your knitting world! K2, P2 ribbing for 2 rows and bind off. Continue in the pattern until stitch 29. 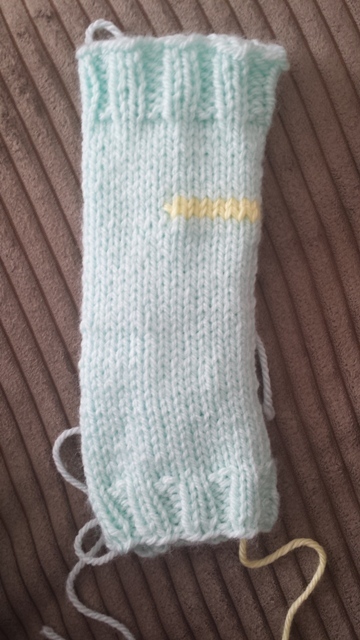 Using waste yarn, knit in the after thought thumb for 7 stitches and purl back for 7 stitches. 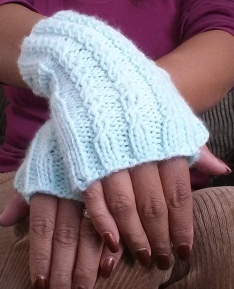 Using the main color yarn continue in the pattern until you reach the base of your fingers or desired length. 9 rows for me. 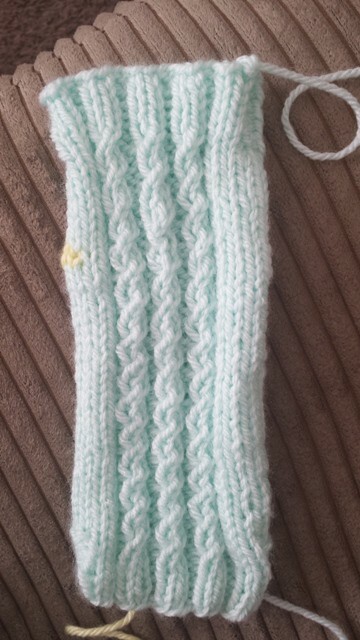 K2, P2 ribbing for 6 rows then bind off. Weave in all those ends and admire your work! This entry was posted in Knitting, Uncategorized and tagged afterthought thumb, fingerless, gloves, knitting, magic loop. Bookmark the permalink.